Only 1 left in stock. Ships Today! GPI 03A31GM 1139009501 6-Digit, Electronic Digital Fuel Meter calibrates in gallons and liters with 1 inch NPT. Lightweight and compact with a easy-to-read LCD display. 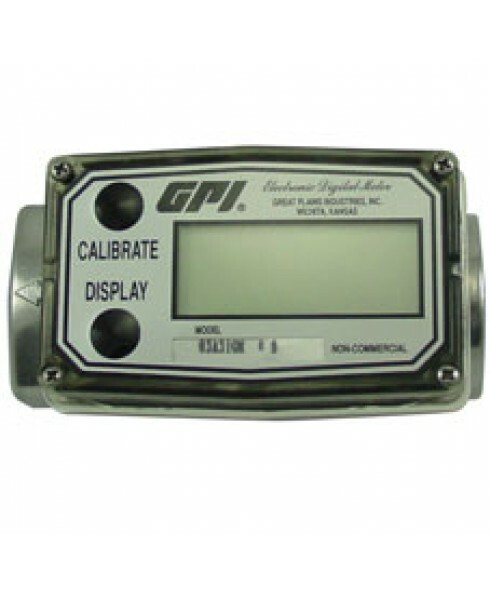 GPI 03A31GM 1139009501 Electronic Digital Meter is lightweight and compact. Easy-to-Read 6-digit LCD displays flow range between 3 to 50 gallons per minute (10 to 190 liters per minute). This aluminum turbine meter calibrates fuel flow in both gallons & liters and comes standard with 1 inch NPT fitting. GPI 133262-04 24-volt DC Electric Vane Contractor Special Fuel Transfer Pump is designed for refueling fleets or large Farm and Construction Equipment. 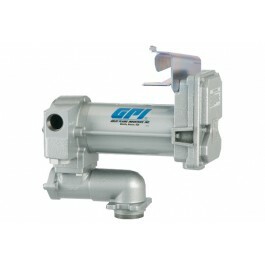 This pump can deliver up to 25 GPM (95 LPM).